The ulnar nerve is a nerve that gives sensation to certain parts of the palm and the muscles in the forearm. It is an extension of the medial cord of the brachial plexus. Ulnar nerve neuropathy is a condition in which pressure is put on this nerve every time that the afflicted person bends their elbow, thereby reducing the blood supply to the nerve. It is also called cubital tunnel syndrome. If you experience ulnar neuropathy due to your job, you may be able to obtain benefits with the assistance of a Boston workers’ compensation lawyer. Signs of ulnar neuropathy include numbness, discomfort, weak grip, and tingling on the little finger and part of the ring finger. A serious consequence of ulnar neuropathy may be the paralysis of muscles that are supplied by the ulnar nerve. 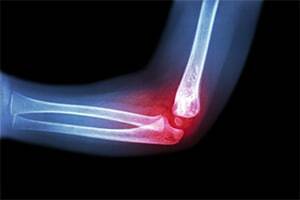 The cause of the compression may be a direct blow, a twisting of the elbow, a dislocation, or a fracture. Pressing onto the nerve while doing work that requires you to repetitively flex your elbow joint on a daily basis may also cause ulnar nerve compression. For example, using the computer for a prolonged time or driving with a hand on top of the steering wheel for a long stretch may result in ulnar neuropathy. There are conservative treatments and exercises for ulnar neuropathy, but in some cases, it is necessary to have ulnar nerve decompression surgery, which divides a ligament in order to make space for the ulnar nerve. Often, it is necessary to make changes at work or in your daily life. Sometimes claimants are unsure about why they have developed ulnar neuropathy. It is important to see a doctor for treatment and let the doctor know about the work that you do that might cause this injury. As long as your work is a major cause of your ulnar neuropathy, you may recover benefits for it even if you have a pre-existing injury. Among the benefits that you may be able to receive are medical, disability, and loss of function benefits. Medical benefits encompass a number of benefits, including adequate and reasonable medical care for ulnar neuropathy, such as the costs of surgery when that is deemed necessary. You may also get reimbursement for medical mileage and prescriptions. After an initial scheduled treatment by a doctor within your employer's preferred provider network, you will be able to designate your health care provider. You may switch this provider once. However, if you are referred by your treating physician to another provider in a different specialty, you may change once to a different provider in that specialty. You may be able to get medical care from other providers in emergency situations or when the insurer or administrative judge agrees. The insurer may also send you to a doctor to evaluate the neuropathy. You will want to provide your workers' compensation insurance claim number to the doctor so that the doctor can bill it directly and obtain pre-approval for treatment. If you do not receive the card soon after notifying your employer of your work-related ulnar neuropathy, you should contact the insurer. If you suffer from work-related ulnar neuropathy, you have a right to obtain workers' compensation benefits. At Pulgini & Norton, our experienced Boston attorneys can advise you on seeking the benefits that you need and represent you during this potentially challenging process. We also handle claims in Waltham, Cambridge, and Weymouth, among other Massachusetts cities. For a consultation with a job injury lawyer, contact us online or call us at 781-843-2200.